Amazon Simple Email Service (Amazon SES) is a highly scalable and cost-effective bulk and transactional email-sending service for businesses and developers. It's the best service with perfect cost (with only 0,1$/1000 emails) and emails have high delivery rate. First, go to this link : https://console.aws.amazon.com/ses/home to sign up Amazon SES (Simple Email Service). 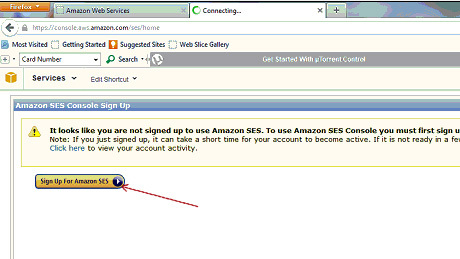 Click on Sign Up for Amazon SES. Then wait for a few hours until Amazon send you a email say you have already access to SES. After setup SES successfully, you will see the SES panel, now click on Request Production Access. Fill the Request Production Access form and click Submit. And then wait few hours until the Request Production Access button in the SES Panel being removed. Step 4. 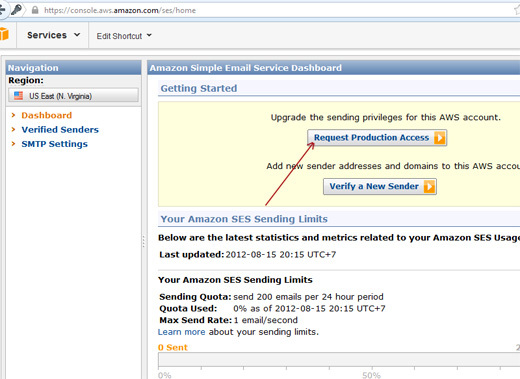 Click on "Verify Sender"
Come back to the SES Panel at https://console.aws.amazon.com/ses/home, now you can see the Sending Quota is 10000 email, that mean you can now sending email to unverified sender, and send 10.000 per 24 hours, if you want more you can require Amazon upgrade your sending privilege to 100.000 or even 1000.000 emails per 24 hours, it's depend on your job. 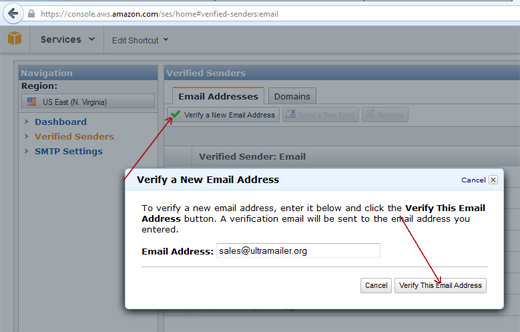 Now click on Verify Sender to verify the email you wish to using as sender with Amazon SES. Click on Verify a new Email Address, input your sender email address (which email you want to display to the recipient) and click on Verify this email address. Amazon will sending you a message contain a confirm link in that email, log in to your email and click on that link.